This is Part 1 of a trip that I was really looking forward to making. 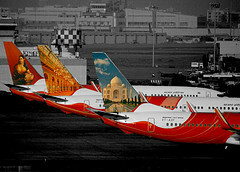 It had been 8 long months in the United States, and I was longing to get back home, to the tastes and sounds of India. I was considering Air France/Delta (via Paris - CDG), Delta/KLM/Jet Airways (via Amsterdam and Delhi) and Lufthansa (via FRA) . 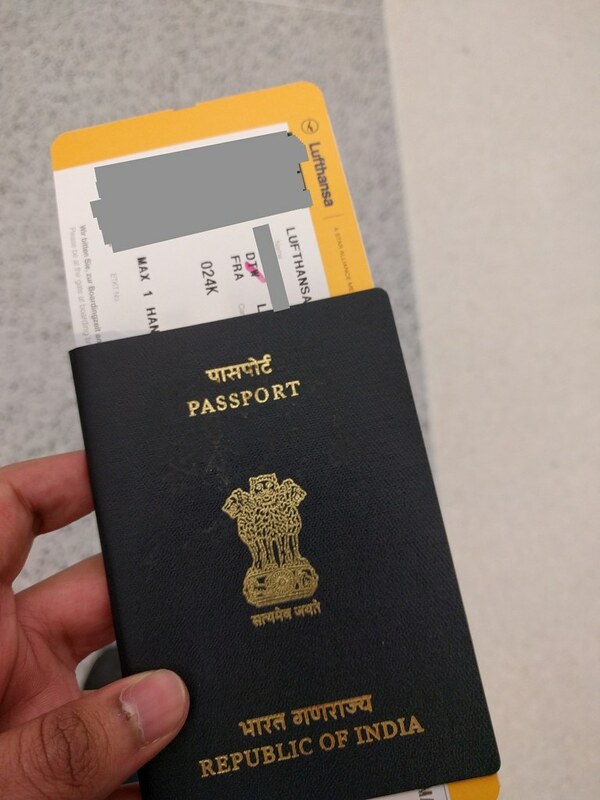 I booked tickets on Lufthansa; they offered the cheapest round-trip flights from Detroit to Bangalore via Frankfurt and back. However, the entire booking process was not without spice. 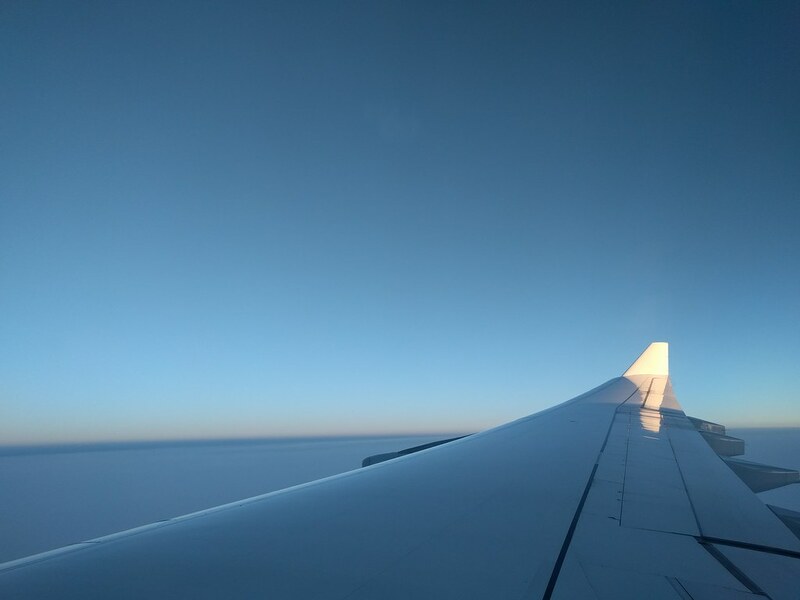 I managed to find really cheap 2 way fares, but with a very limited availability. 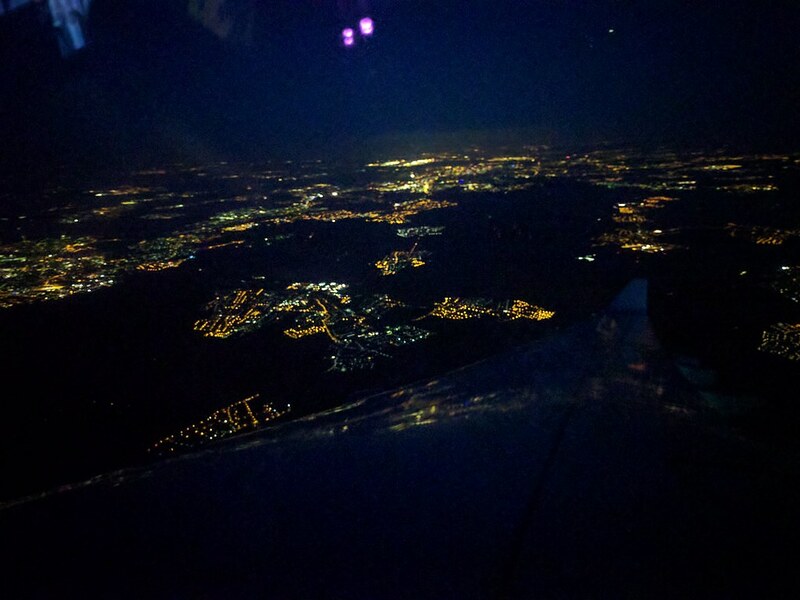 Also, I still lacked some clarity about a project that I intended to start post my trip. I decided to avail the $30 fare reservation option; Lufthansa allows you to "block" your fare for a period of 48 hours. You wouldn't lose those $30, should you confirm your booking within the stipulated time. Fortunately, everything worked out as desired, and I managed to confirm my booking on Lufthansa, a week and a half before my date of travel. 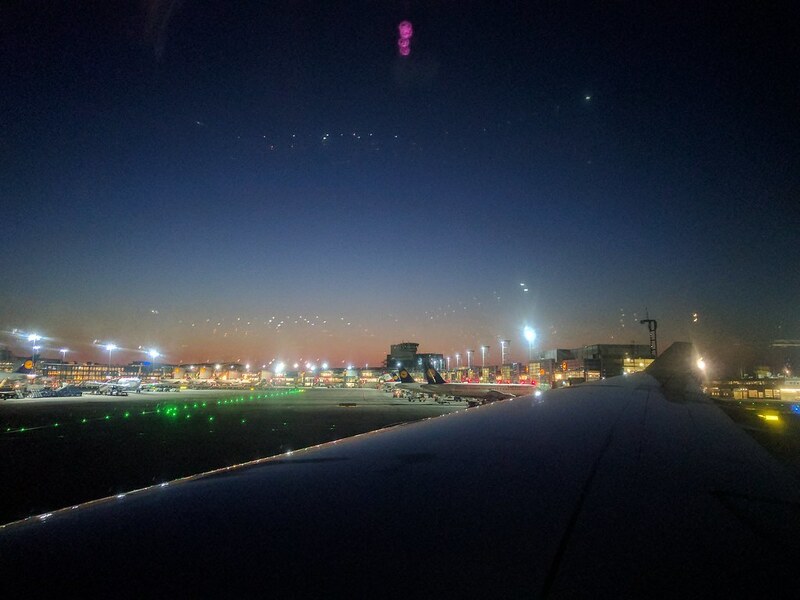 I planned to reach the airport early, so as to avoid long queues at check-in and security. A quick glance skywards indicated clear blue skies, and hopefully a peaceful and non-eventful flight. 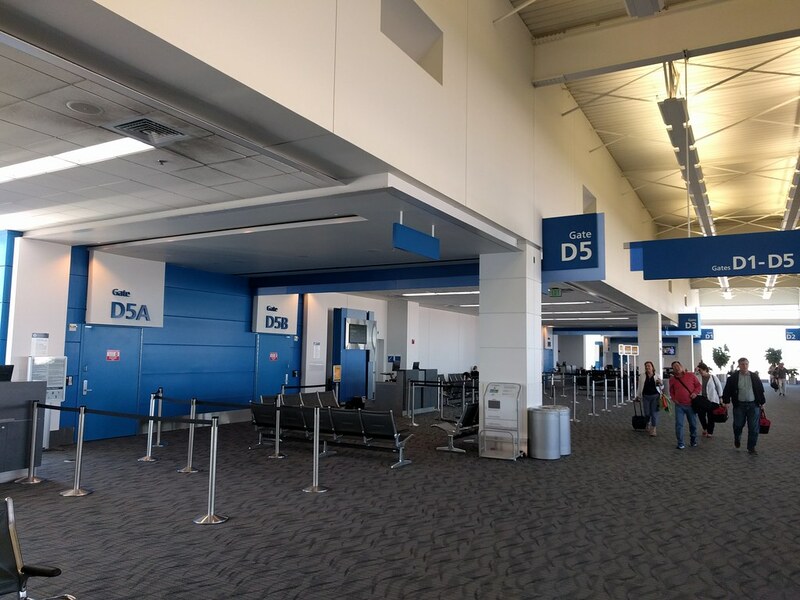 I reached Detroit Airport’s North Terminal (the terminal that serves all non-Delta and non-Delta partner airlines) at 12:15 EST. As expected, the check-in lines were vacant. I had checked-in online the previous day and proceeded to the Online Check-in /Baggage Drop-off counters where the agent weighed and tagged my laptop bag. The larger check-in pieces were tagged all the way to Bangalore. 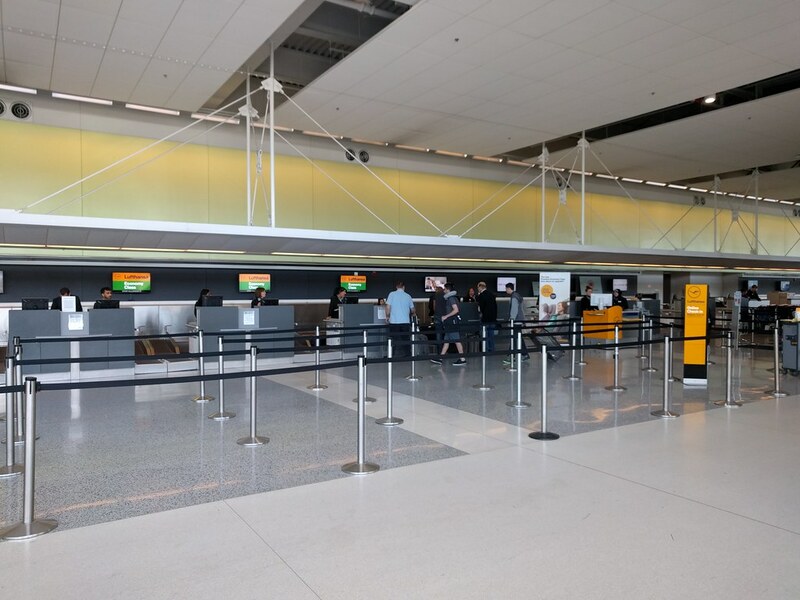 To put it simply, check-in was a breeze. I then headed to the TSA security check, which was efficient and quick. The perks of reaching the airport early: I was done with check-in and security in 15 minutes. I now had 2.5 hours to while away at the airport, which I spent plane spotting. 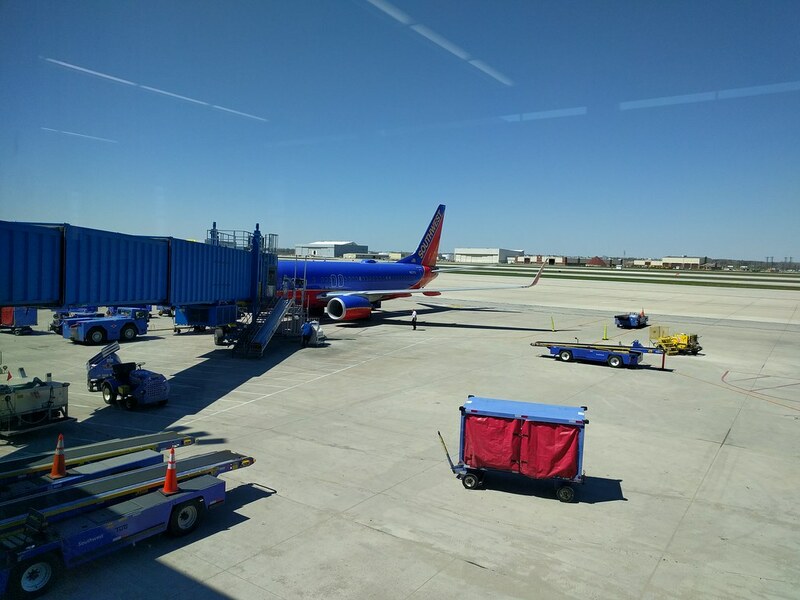 There was a steady stream of Domestic Departures, generally by the low-cost carriers: Spirit, Southwest and the like. A couple of United and American jets rolled in and quickly turned around to continue their journey. 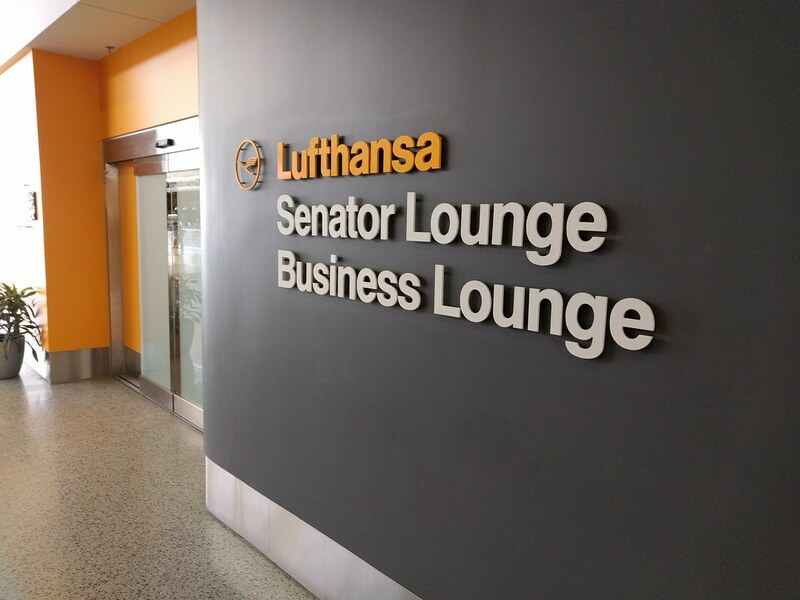 I then headed out to Gate D5, which was the departure gate for LH443, passing the Lufthansa Senator Lounge. The Gate was slowly filling up. 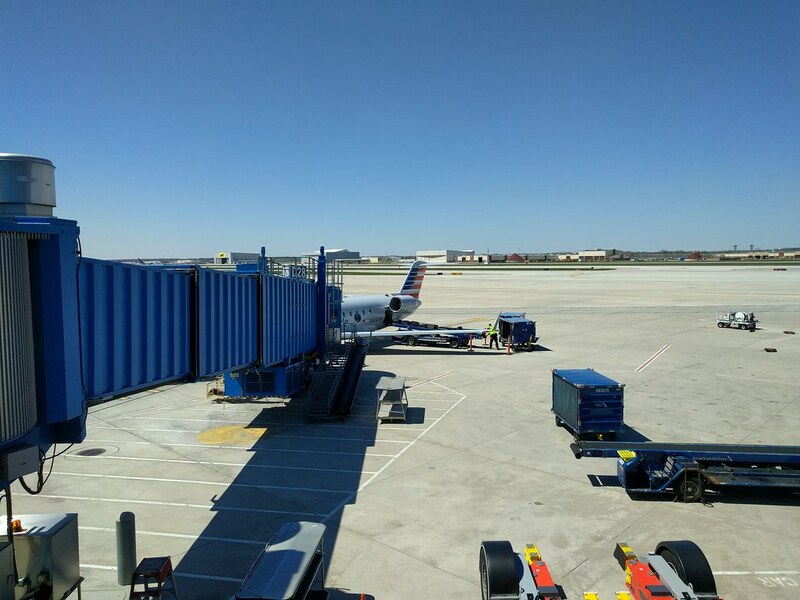 To veer away from the purpose of this trip report, I guess this was a golden time for European Carriers flying out of the US. 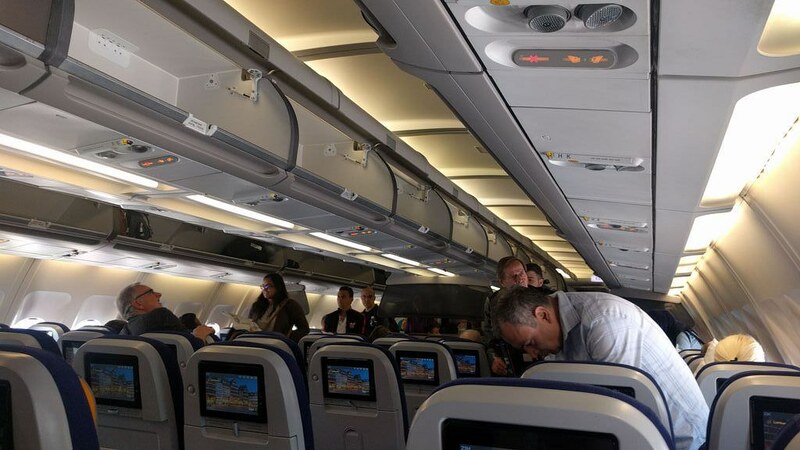 With the restriction on electronic devices allowed onboard middle eastern carriers, people hesitant to part with their devices during the flight would prefer flying on some of the European Carriers. Pushback began at exactly 15:30 EST and the four CFM56-5C4 engines were fired up in sequence. Sadly there was no pre-departure announcement from the flight deck. 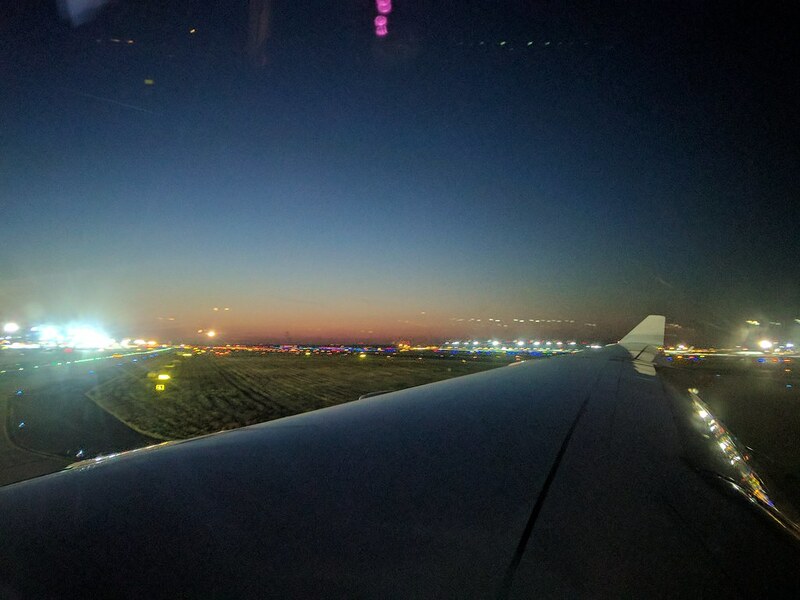 We taxied out to Runway 22L for take-off, passing a few Spirit and United Birds. The 4 CFMs were spooled up to full power for take-off. 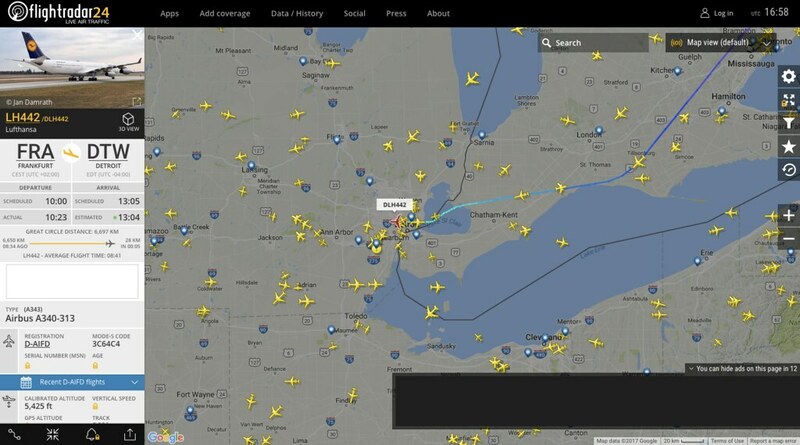 We made a right climbing turn after take-off to follow a North-Westerly course to Canada after passing over Lake Huron. 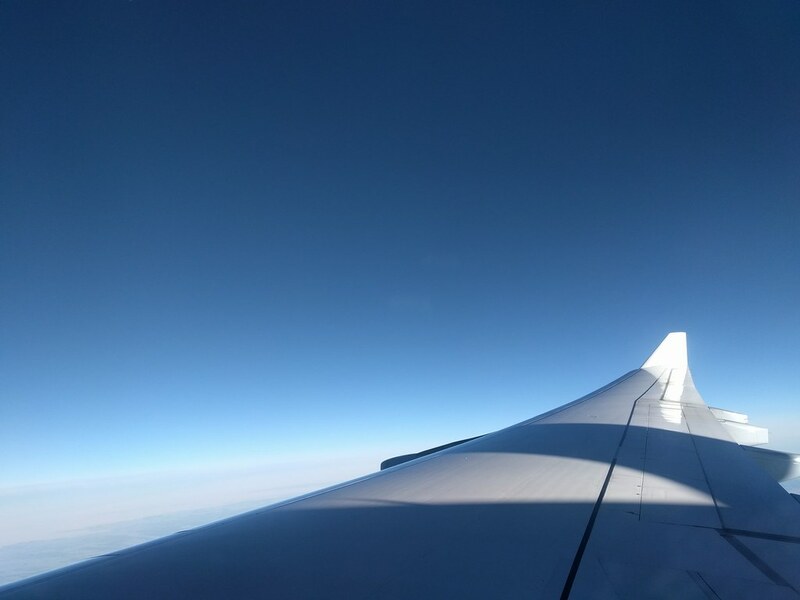 Once the seat belt signs were turned off, the cabin crew began their in-flight food and beverage services, which started off with them handing out salted crackers and drinks. The lunch was pretty good for an in-flight meal. The Asian Vegetarian Meal had Fruit (Strawberry, Cantaloupe and Honeydew: part of the muskmellon family), Chickpea and Tomato Salad, Rice, Dry Potato Curry, Spinach & Green Peas Curry, a warm bread roll with cream cheese and salted flavored yogurt (Raita). As I was finishing my meal, the other passengers were served either Pasta (Vegetarian Option) or Chicken (Non-Vegetarian Option). The Spinach Curry, in particular, tasted brilliant. My tastebuds were receiving the ideal warm-up to some much-missed and delicious Indian food that I was longing to have over the next 3 weeks. 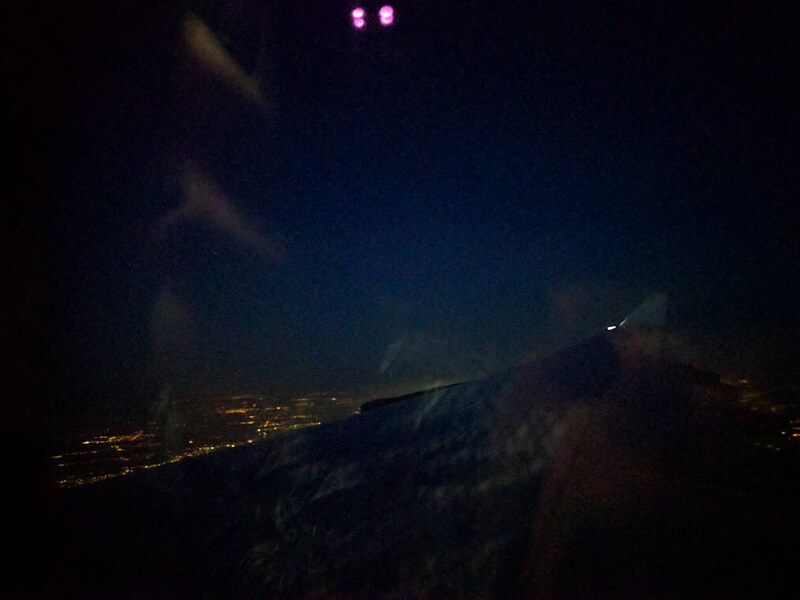 One of the parts of this flight I was really looking forward to was the sunset as we entered the North Atlantic Airspace. 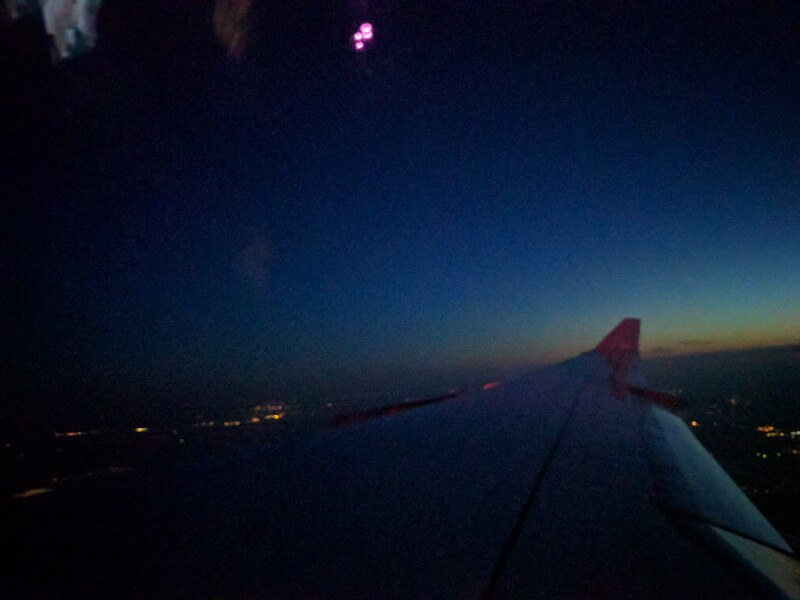 It was rather difficult to capture a good view as the wing was obstructing any view I could get. The cruise phase of this flight, barring some mild turbulence over Port Cartier in Canada, was very smooth. 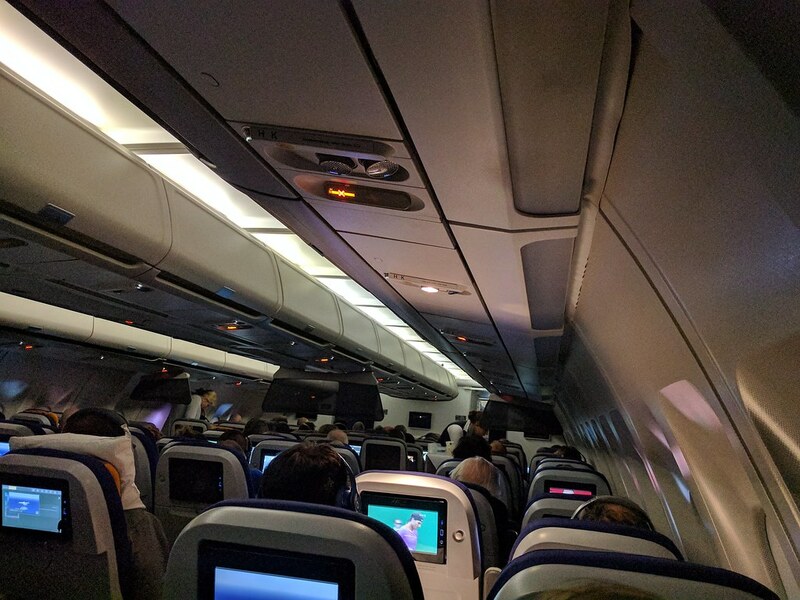 Most passengers were now asleep and the very friendly cabin crew handed out drinks to anyone who was awake. 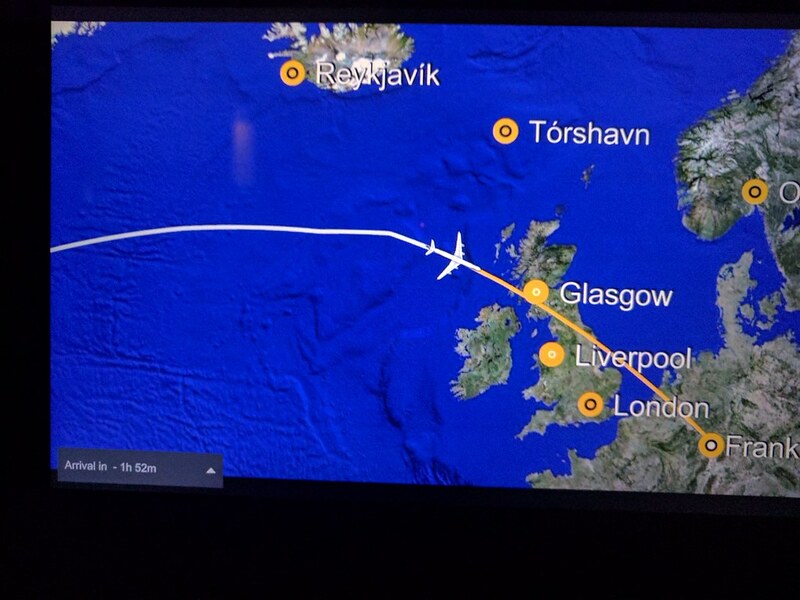 I then drifted in and out of sleep (thanks to a crying baby, they do ruin your sleep - but are also fun to fly with) and finally woke up as we were about to enter the European Mainland over Scotland. 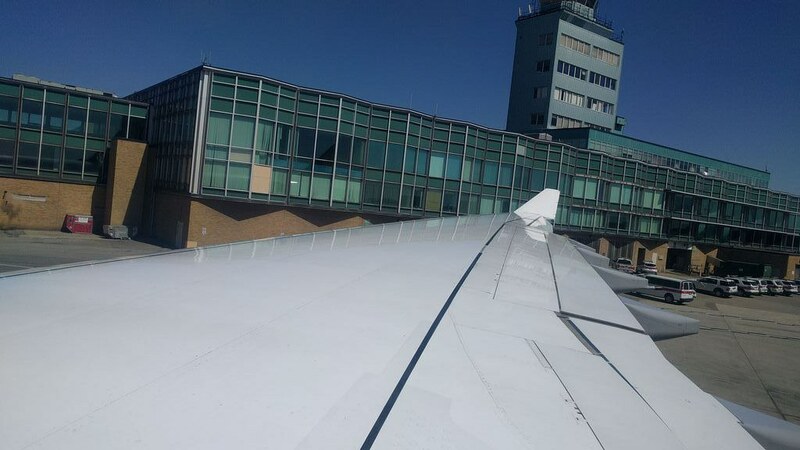 A quick visit to the washroom to freshen-up before landing was in order. We were then served breakfast 1 hour and 10 minutes before our expected arrival time. Breakfast was a very simple affair and consisted of fruit (pineapple), a blueberry muffin, a granola bar and coffee. 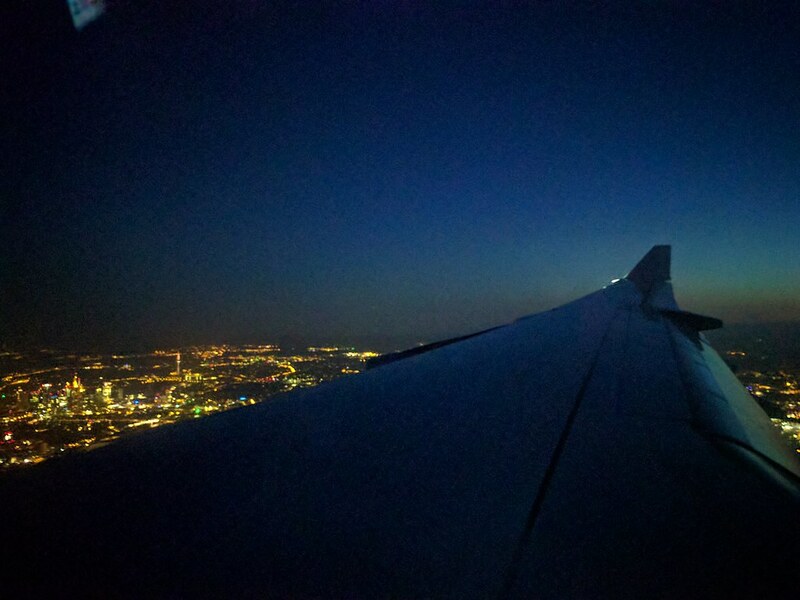 The cabin crew handed out warm towels after the breakfast service with around 45 minutes to land in Frankfurt. 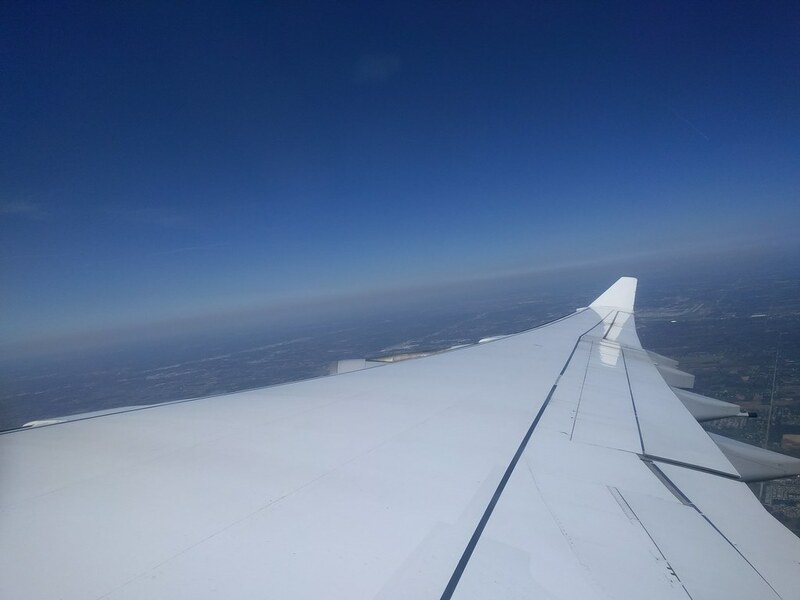 The first officer then came on board the PA system to brief the passengers about the arrival in Frankfurt: The weather was pretty cool, 14C, light winds and no clouds and that we would be landing 20 minutes ahead of schedule. 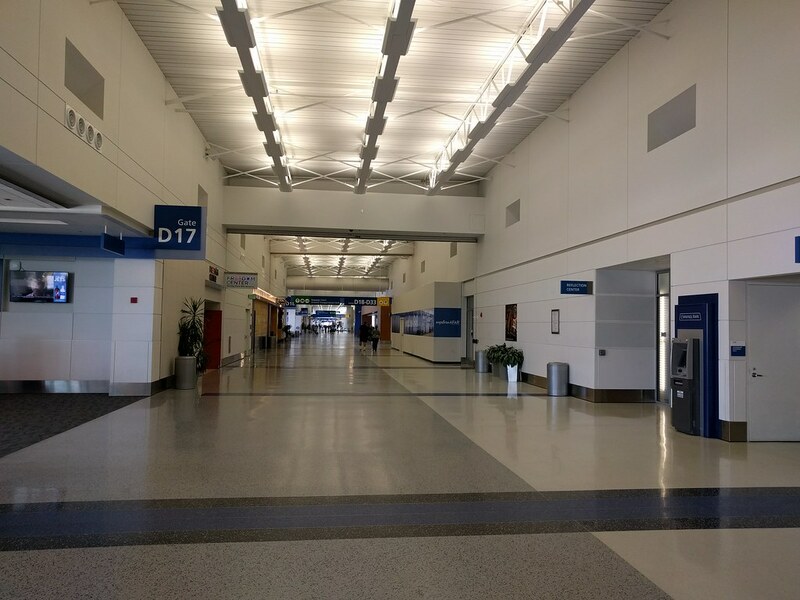 Early arrivals are generally good news, except when you have an already looong layover. The descent was a pretty smooth affair, just as the FO promised, and a few turns later we lined up with the center of Runway 25C, with the sun peeking out of the horizon. 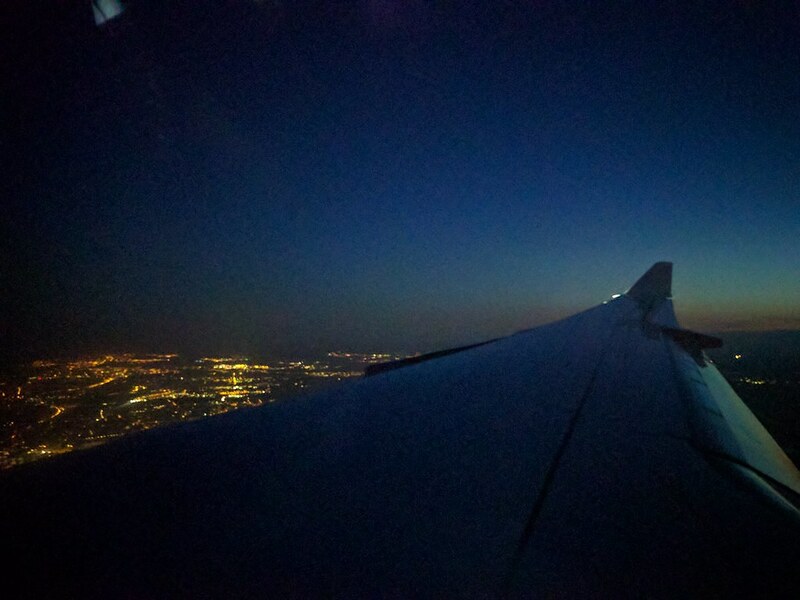 The landing was very smooth, in keeping with the general trend on this flight. 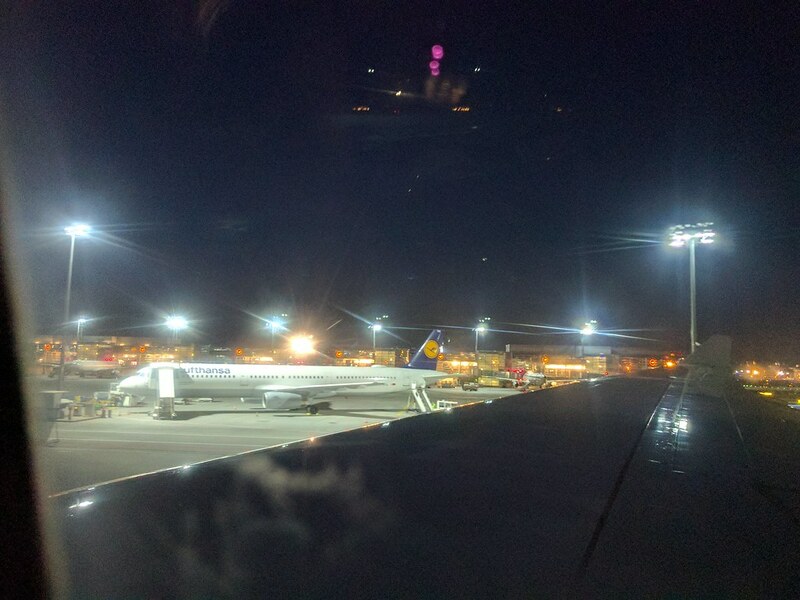 Frankfurt Airport was just waking up to what would be a typical busy day, but was largely empty when we landed. 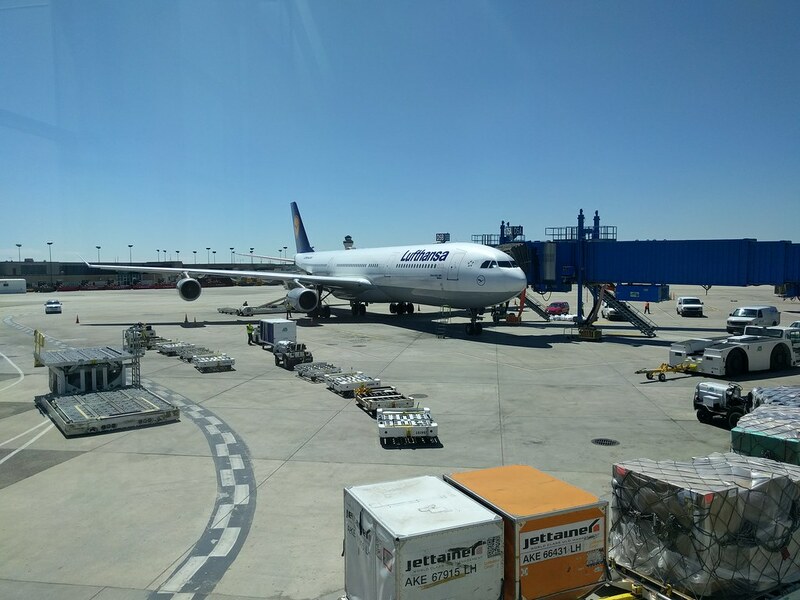 There were a few Lufthansa narrow bodies along with a few Condors. 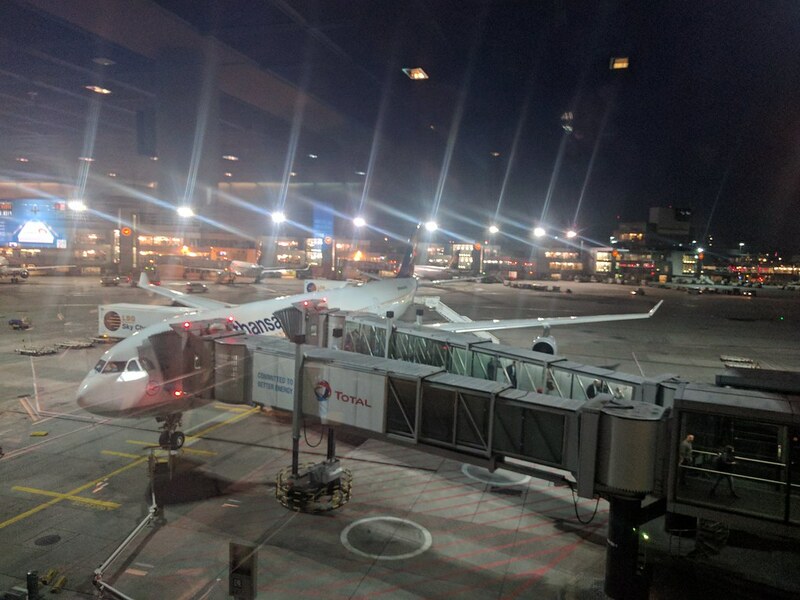 We then docked at Gate A50, I took all the time I could to disembark, an ultra long 7 hour 45-minute layover at Frankfurt beckoned!! I clicked a couple a few pictures of D-AIFD after disembarking. I then proceeded to concourse C, with no idea of how I was going to spend 8 hours and 25 minutes before my flight to Bangalore. More of that in Part 2! Yes, the A340s look good after refurbishment. 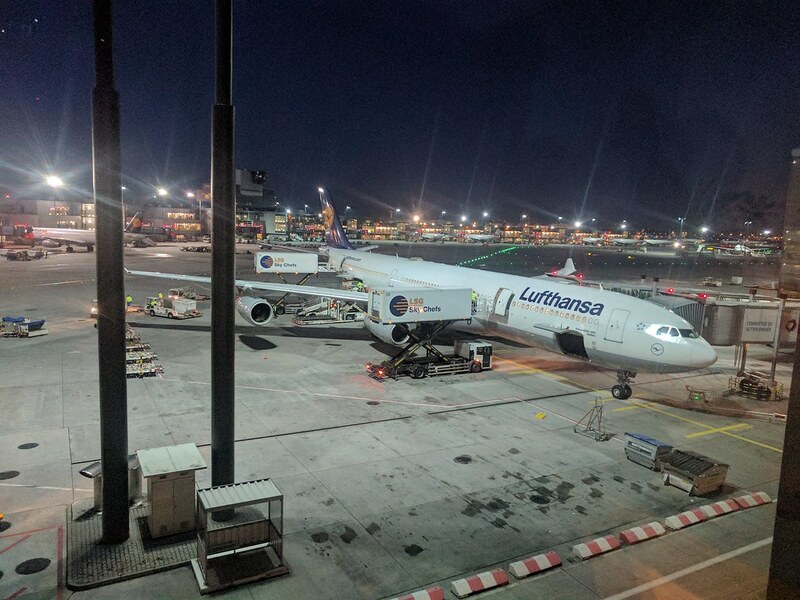 I flew on a Lufthansa A340 really long back (in 2005), and they didn't have PTVs back then, so it was a pleasant change to see. Ananth, please pardon me for the late reply, owing to work pressures. 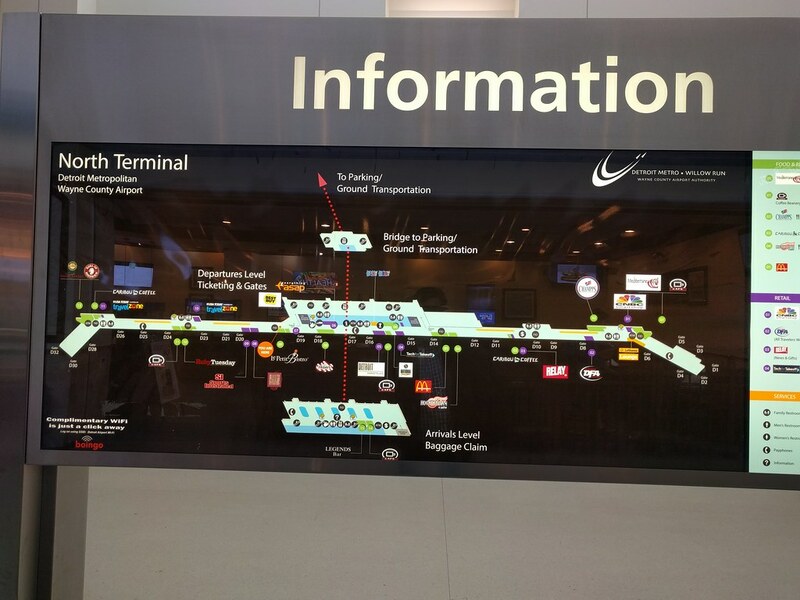 DTW is an airport I have transited through in 2005 twice, and it was nice to see pictures of the place all over again. 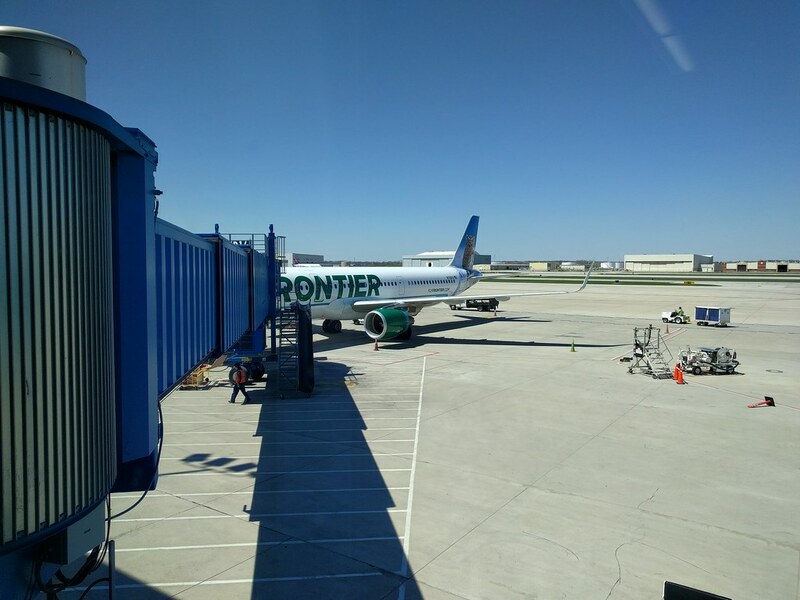 Wonderful spotting pics from DTW! 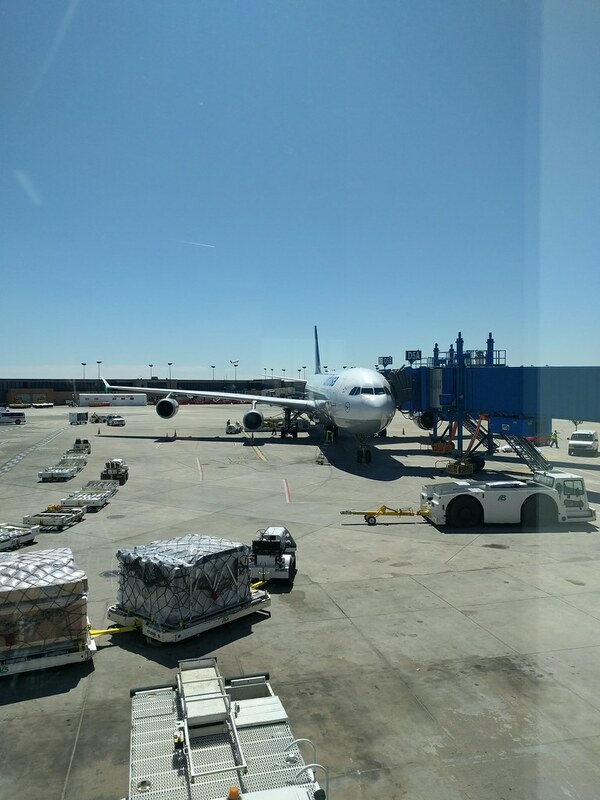 And it was nice that you got a chance to get a ride on the A343, and that too, a refurbished one. LH maintain their birds well, and it shows, clearly. 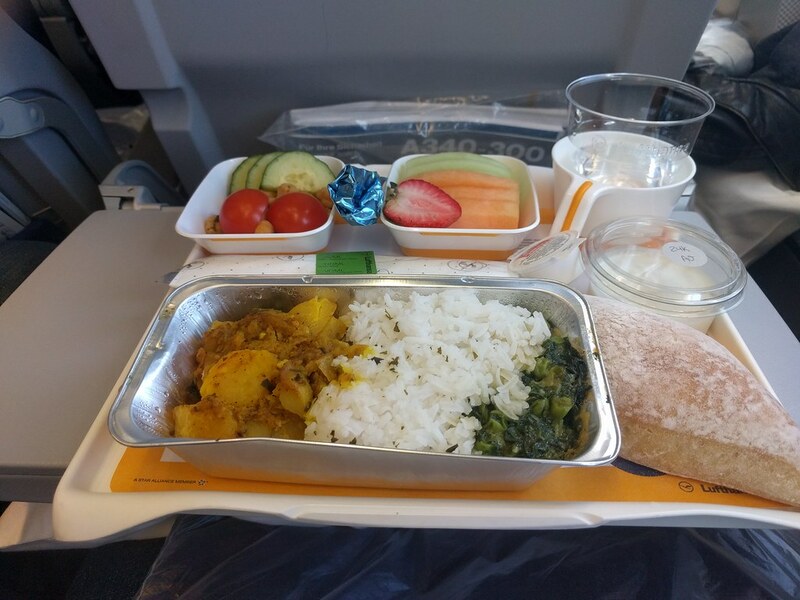 It is nice that LH gave you a good AVML on board, though the `breakfast' was nothing more than a mere light snack: typically LH, going low on the quantity. Do the refurbished A343s have power-ports? I really look forward to reading part 2, and more! I understand Sir. Nice to hear from you! Thank you Sir. 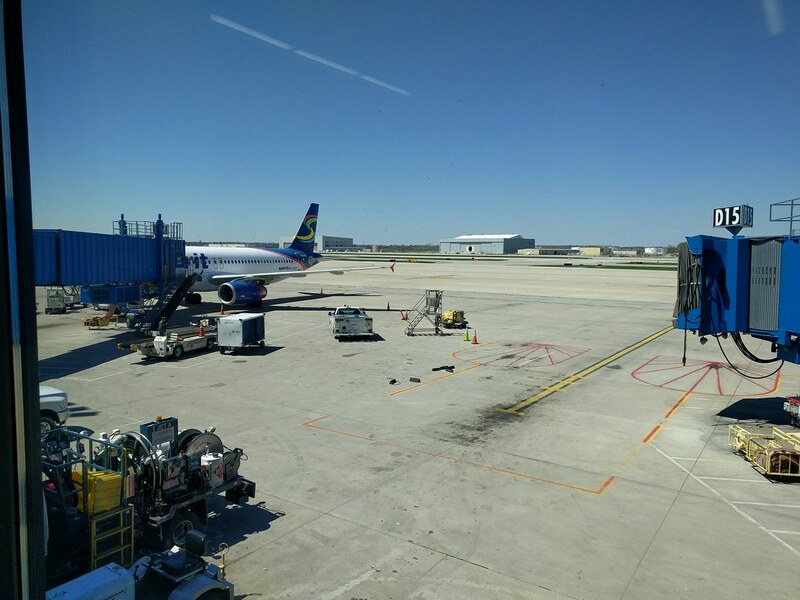 This was first time I had a departure from the North Terminal at DTW. So, I go to see a variety of jets, unlike the McNamara terminal, which is great but you get to see only Deltas. 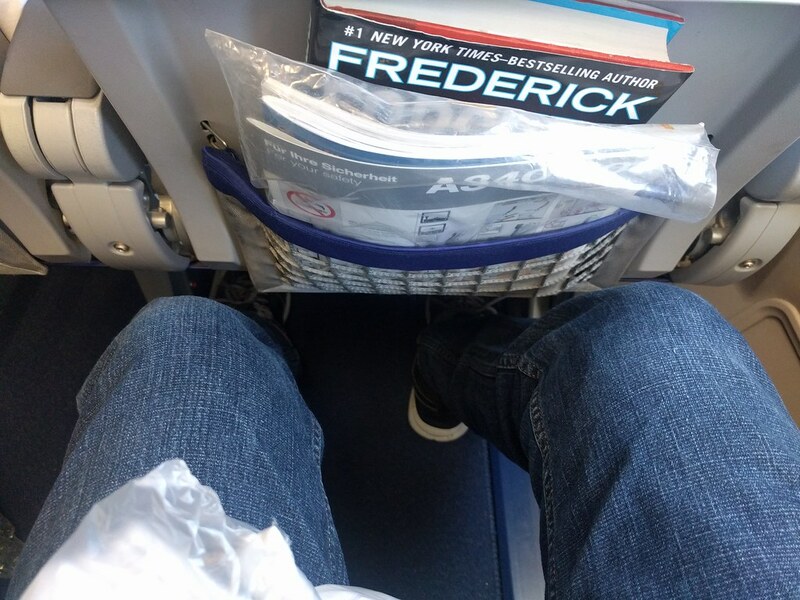 The refurbished A343s are really good, though I found the legroom a little tight. The last time I flew an LH A343 (back in 2005), they didn't have PTVs. 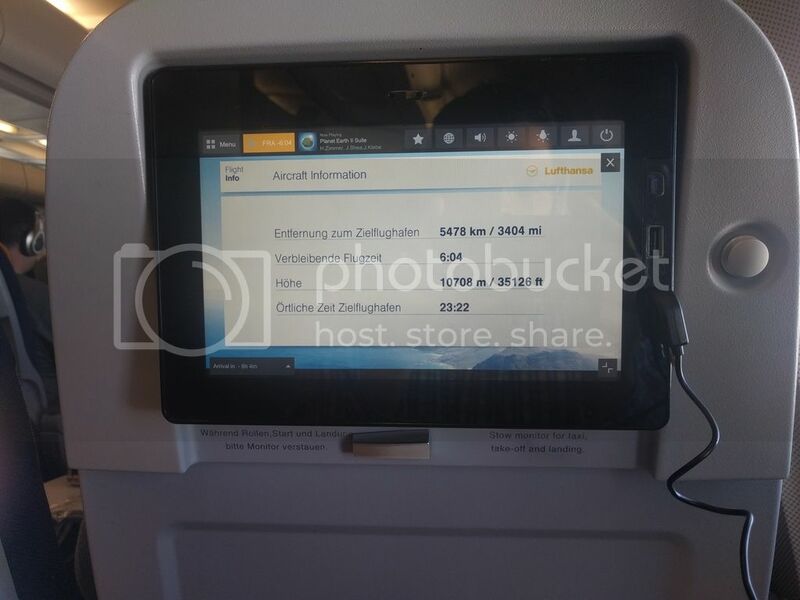 The ones on the refurbished jets are great, very responsive and I think they also feature the latest IFE software. The food onboard was great, but as you said, the breakfast was nothing more than a light snack. It tasted fresh though. 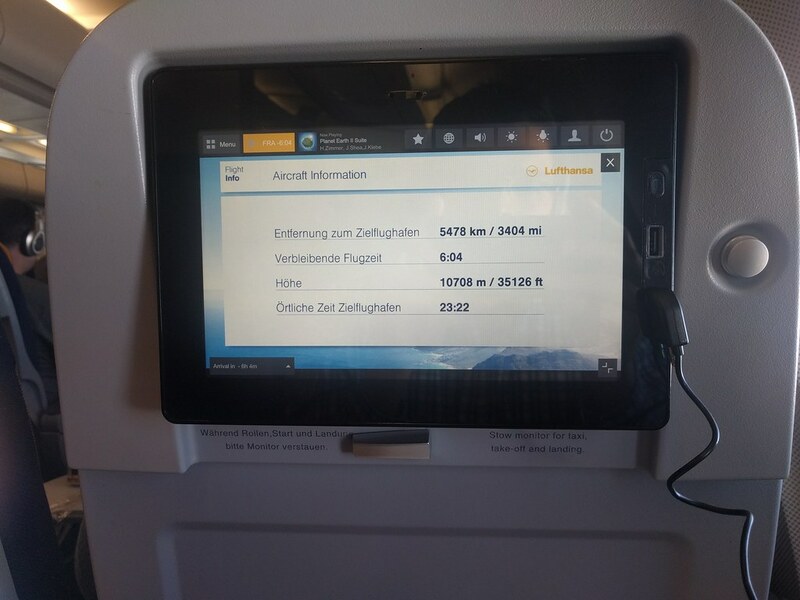 A USB power port is also included right beside the IFE Screen. Sir, thank you for the very prompt reply! 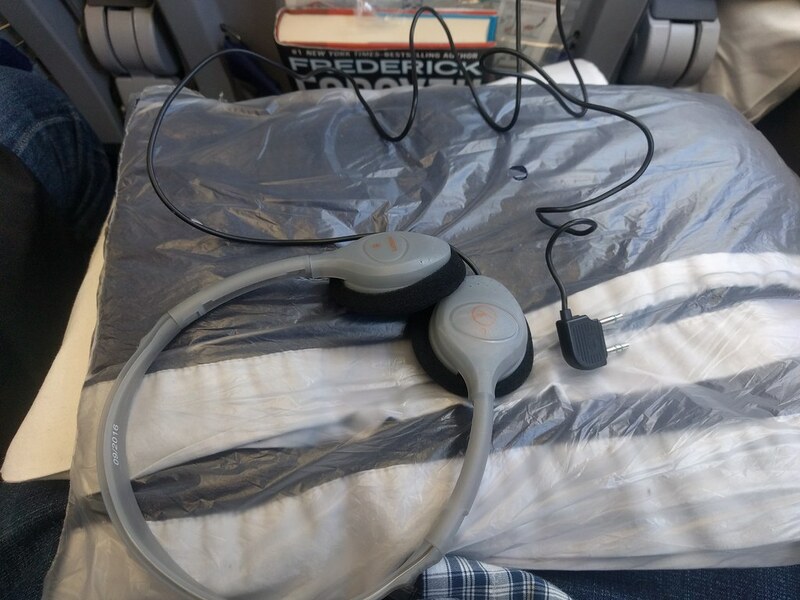 A lot of carriers have USB power-ports, but do not have the `real' ones AI has them between/below the seats, SQ has them on the front seat back, and most carriers do not have them altogether. 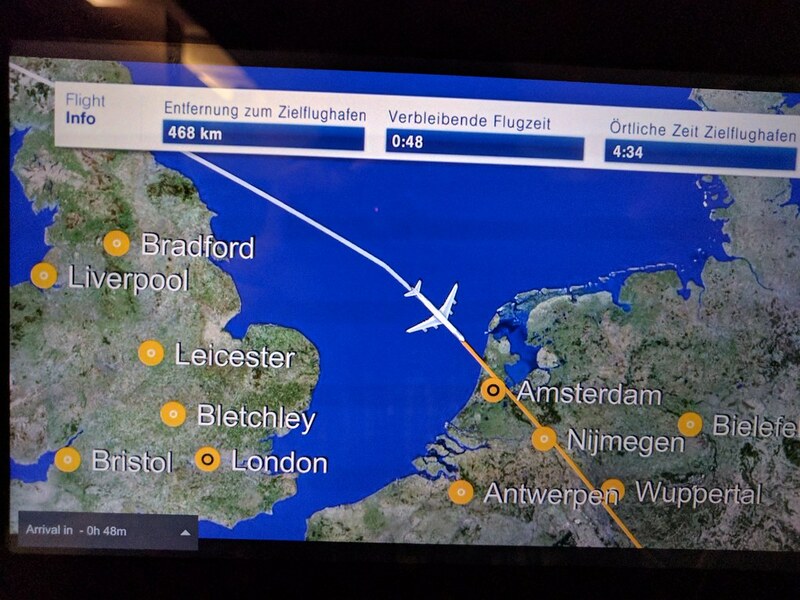 Where does LH figure in, in both cases: the A343 and the B748? I'm just curious...thank you! Ah. Terribly sorry for the confusion Sir. The A340-300 did have an AC Power Socket below the seat. I didn't make an effort to look for one the B748 though. However I vaguely recall seeing the "in-seat power" label while I was booking my tickets. So I assume they must have one, at the bottom of the seat. The B748 has a proper power plug located below the seat. The A343 too had one. Thanks, Binai: one for a pair of seats, or one for each seat? Thanks, Binai. This looks much like the AI Dream)liners, with one per seat, as opposed to the AI B77Ls and B77Ws, which share a powe-port for each pair of seats. 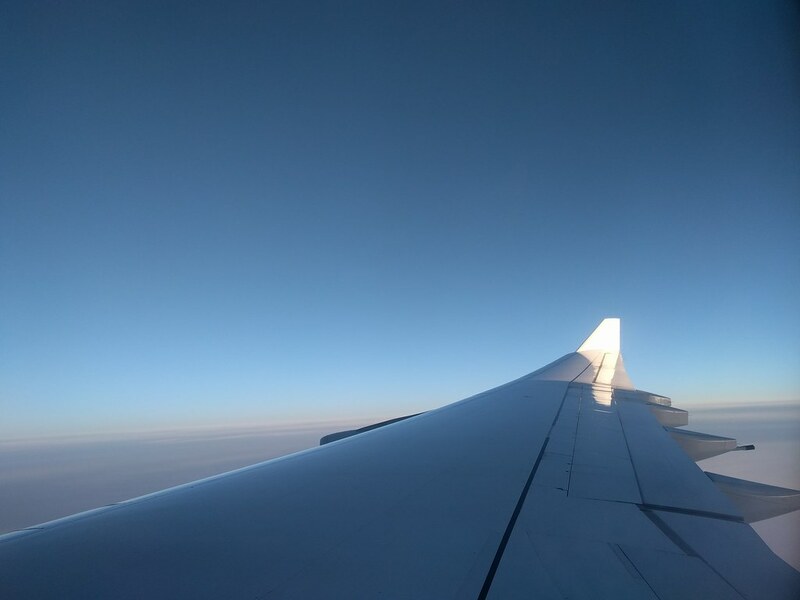 It is nice that LH gave you a good AVML on board, though the `breakfast' was nothing more than a mere light snack: typically LH, going low on the quantity. .
Breakfast on all transatlantic flights on all airlines in Economy today feature just that, if at all. Lufthansa's offering seems generous in nature (I've flown AI's EWR-CDG flights in J where all you get is a quick cup of tea or coffee, which given the duration of the flight seems about right). 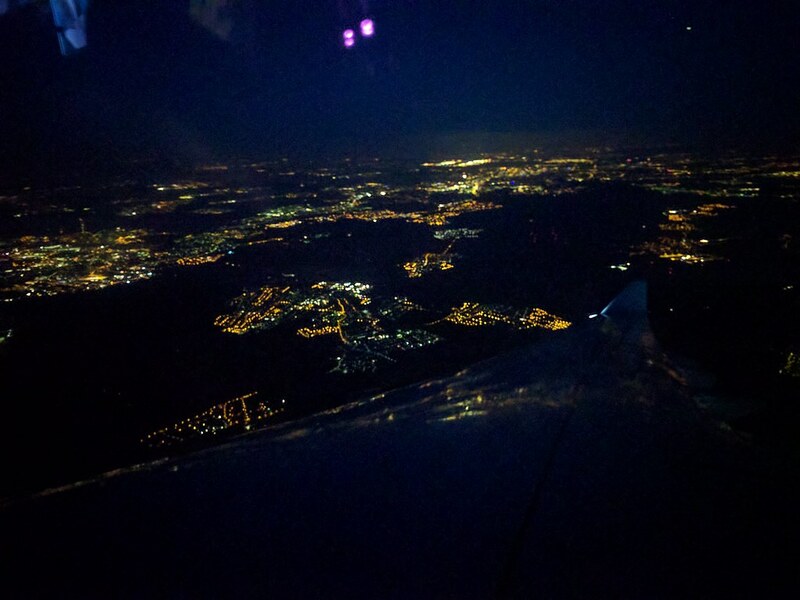 Given that these are barely 5-7 hour flights that leave in the evening, most pax want to sleep almost all the way to their destination. The breakfast snack is just a way to help rejig your internal clock into thinking it's breakfast time when your body knows that it's still 1 AM in the US or Canada. If it's a flight from the US West Coast then airlines do offer that grimy rubber thing they call an omelette. Breakfast on all transatlantic flights on all airlines in Economy today feature just that, if at all. 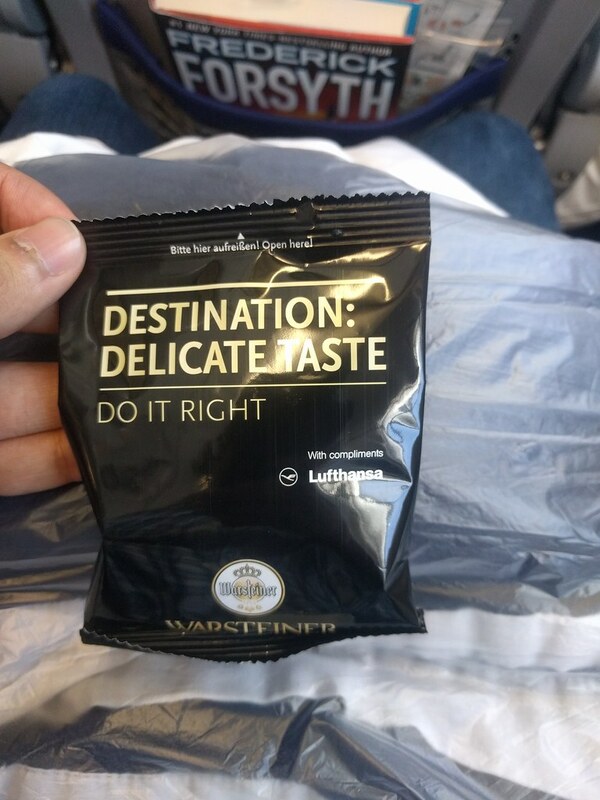 Lufthansa's offering seems generous in nature (I've flown AI's EWR-CDG flights in J where all you get is a quick cup of tea or coffee, which given the duration of the flight seems about right). 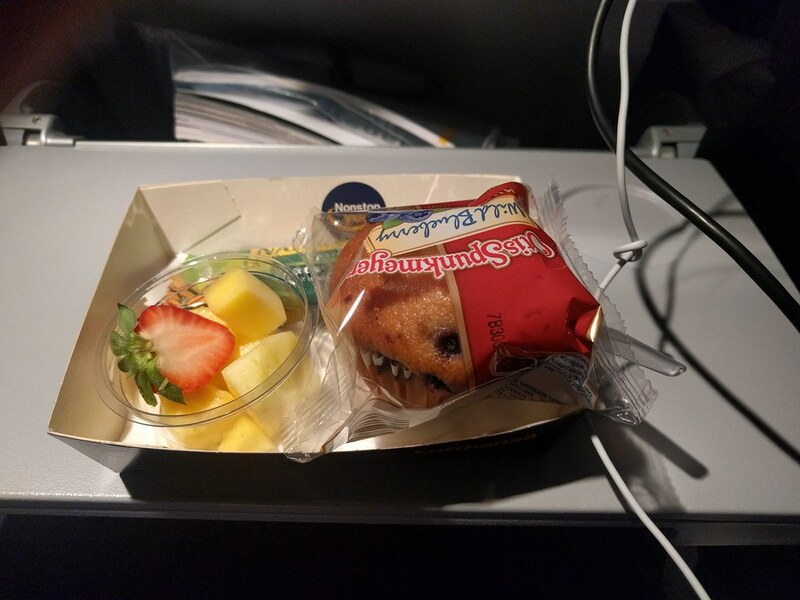 Sanjay, I guess I have been luckier on my AI 191/144 flights in the 200s (when it was BOM-CDG-EWR and back), when the `tea' had a piece of cake/muffin and a sandwich, which made it quite filling. Those flights featured nearly two meals per leg, in which one was a `tea'. Now, AI have standardised the offerings on their non-stops to one snack, and two meals (breakfast/lunch/dinner: yes, breakfast is a full meal). The snack is also quite a heavy one. I speak of Plebian Y, and I have made these trips on the non-stops to/from the US 2008-15, and have found them to be quite consistent, and excellent in terms of both quantity, and quality. 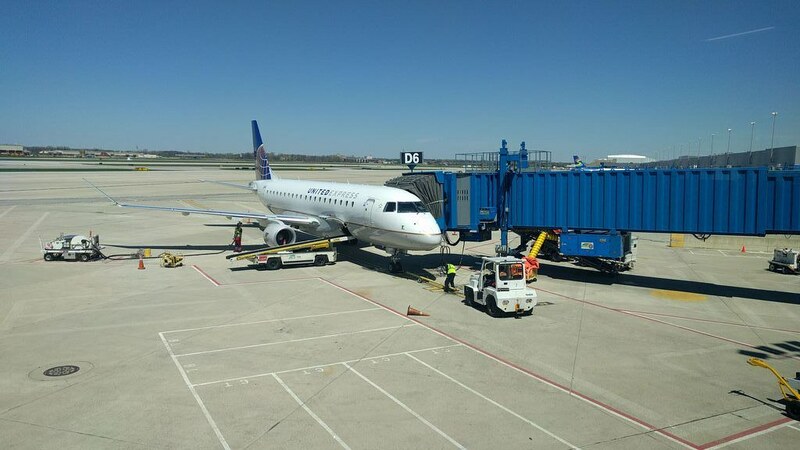 - I’ve only transited thru DTW and I loved it. NW territory in those days super views of MD80 to 747s. 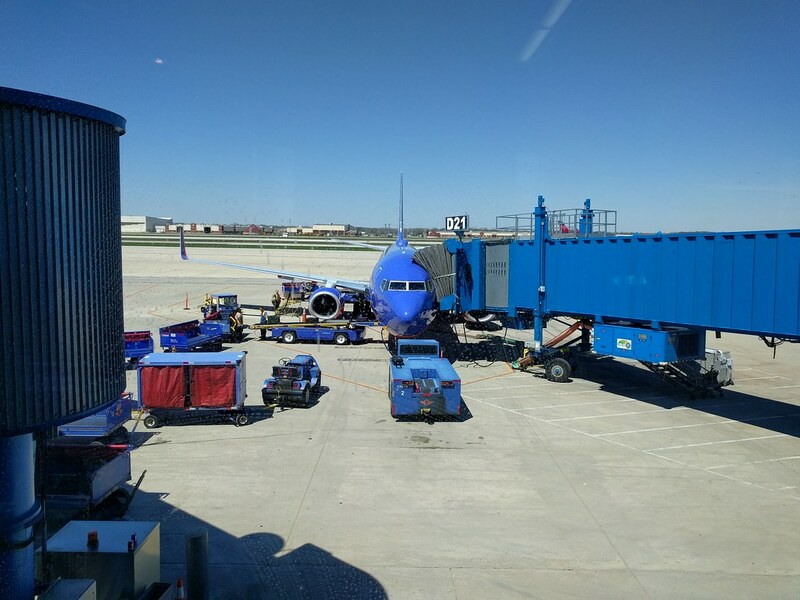 Great airport pictures! The food on this leg was really good.